A £600 reward is being offered for information leading to the successful prosecution of the person responsible for shooting a feral cat with an air gun in Market Weighton. Local charity Caring for Cats was contacted this week by a worried resident and cat-owner, offering a reward of £500 to help catch the attacker. A further donation of £100 was received the same day, increasing the reward total to £600. 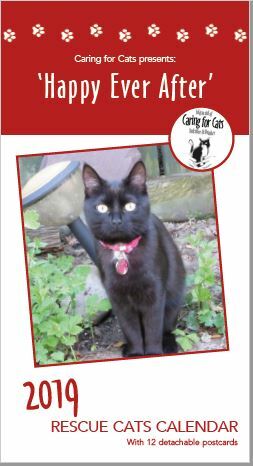 Rose Atkin, the charity cofounder, said: “The anonymous donors are very concerned about the number of cats missing in Market Weighton. They believe that only by offering a cash reward will anyone be willing to come forward with information. Anyone with information is urged to call Market Weighton police on 101. Alternatively they can call the RSPCA helpline on 0300 1234 999. X-rays of the victim ginger and white cat, named Ginger Nut, show the animal had been shot in the head twice. 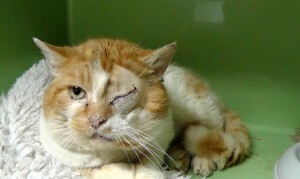 The cat’s left eye and two shattered teeth have had to be removed by a vet. The air gun pellets are still embedded in the cat’s skull as they cannot safely be removed.